Hydrogen generation is one of the more critical industrial processes that is needed by a number of application segments. The more common uses of hydrogen generation technologies is in the production of ammonia and methanol, as well as for a number of on-site oil refining processes. The core advantage for players in the global hydrogen generation market is that there are no natural reserves of hydrogen due to the nature of the gas, due to which hydrogen needs to be synthesized through various means before use. Common hydrogen generation methods include its synthesis from hydrocarbons, using steam reforming, thermolysis, and electrolysis. Nearly all hydrogen generation over the past few years was through coal gasification, partial oxidation of methane, and steam reforming of fossil fuels. One of the key uses of hydrogen in the oil and gas sector is to produce lighter fractions of heavy petroleum in a process known as hydrocracking. The future of hydrogen generation also seems to be very bright, with a lot of focus being given to hydrogen fuel cells amid the growing push towards clean and renewable energies. Hydrogen can be generated via a number of diverse methods. Some of these include thermochemical processes, direct solar water splitting processes, electrolytic processes, and biological processes. Fuel cells use hydrogen to produce energy using a chemical reaction instead of combustion, with only heat and water as the byproducts. Fossil fuels such as coal and natural gas are used to generate hydrogen. However, a preference for renewable energy sources such as solar energy, wind energy, biomass, hydro-electric power, and geothermal power has been increasing due to rising environmental crisis. Of late, there has been a surge in the demand for diesel originating from both domestic and industrial applications. As hydrogen is used in the reduction of sulfur content in diesel fuel, the demand for hydrogen generation will also increase. Developing economies have been requiring large volumes of crude oil due to the robust growth in industrialization, aiding the expansion of the global hydrogen generation market. Refineries over the world are being upgraded so as to extend their productivity and efficiency, apart from meeting the strict regulatory standards related to sulfur emission. This has led to increasing investments for the same. All these factors have stoked the growth of the global hydrogen generation market. Currently, the production of hydrogen for industrial uses relies heavily on nonrenewable energy resources. Therefore, a key potential has been acknowledged in the generation of hydrogen through renewable energy resources. A four-year project funded by Hydrogen Europe, an industrial association, and research organizations N.ERGHY, Horizon 2020 Research and Innovation program aims at generating hydrogen through solar energy that is suitable for industrial use. The project is likely to develop a prototype in an area of 10 square meters, converting around 6.0% of the incident solar energy into hydrogen. The cost of the hydrogen thus produced should also be lesser than the market price. 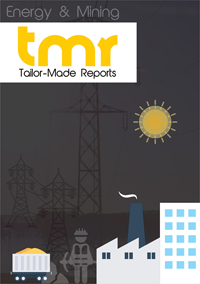 This development is expected to bring about a technological breakthrough, not only in the global hydrogen generation market but also the global photovoltaic cells market. Increasing demand for ammonia to be used as feedstock for urea is one of the key growth drivers of the hydrogen generation market in North America. Led by the U.S., the North America segment will account for a major share in the global market owing to stringent regulations applicable to vehicle emissions. Rising demand for chemicals from the food and beverage industry and the construction sector in Europe will drive the market growth in this region. Asia Pacific is slated for substantial growth, on account of rising demand for petroleum and petroleum products. Some of the major companies operating in the global market for hydrogen generation are Xebec Adsorption Inc, Showa Denko K.K., Hydrogenics, Messer Group GmbH, Iwatani Corporation, Nuvera Fuel Cells, LLC, Praxair Technology, Inc., Caloric Anlagenbau GmbH, and Taiyo Nippon Sanso Corporation. Proton Onsite, a Wallingford-based company manufacturing hydrogen, has been recently acquired by Nel, a Norwegian hydrogen-producing company. The acquisition promises growth for both the companies, wherein Nel is looking to expand its footprint in the U.S. In 2016, Proton Onsite signed a contract with China-based Guangdong Synergy Hydrogen Power Technology Co., Ltd. As per the contract, megawatt-scale PEM electrolyzers for buses running on fuel-cell will be provided by Proton Onsite.